- Thu Aug 09, 2018 8:52 am #77650 Hi all!!!! I'm wondering if using about 150 ESP8266 in same area will generate a problem. I'm working on a project of "parking lot avaiability" using ESP8266 and ultrasonic sensors. The parking have about 150 lots, but don't know if exposing all those crowded modules will saturate the signals and produce interference. Maybe, ESP8266 will not be a good solution. Any recomendations or suggestions? - Thu Aug 09, 2018 10:26 am #77653 either you have to supply energy to every lot, then you could easily do it wired or you want battery, then esp is a bad choice. Also because WiFi is not enegry efficient solution. I would suggest battery/solar operated device based on AtmelAVR and RF433 module. - Thu Aug 09, 2018 12:27 pm #77654 You can make esp based solutions very low power under some circumstances. First one can use deep sleep and then only turn on wifi when there is something to report. This only works if the sampling rate can be kept low (e.g. every 2 minutes). This would also keep rf traffic down so that scaling to large numbers is less problematic. However, it could get nasty worrying about battery based solutions if there are really 150 different individual installs. I would also be concerned with antenna positioning with potentially so much metal work around. Depending on lot layout it might be worth thinking about grouping sensors under 1 controller and letting that communicate back. E.g. 15 groups of 10 lots. - Thu Aug 09, 2018 2:14 pm #77657 Hi. I'm not concerned about energy. I will provide energy to every lot. It is an undergroud parking, so no solar power. I also can use several access point (lets say 1 AP for each 30 ESP8266). 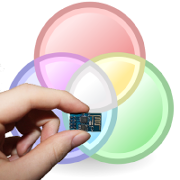 The idea of using ESP8266 is because the price of each component and it has incorporated wifi. I need to send info from the sensor to a server so the users can see in mobile APP the space availability. I was concerned about having to many wifi devices.